Here are a few bingo cards to practise some vocabulary associated with Saint Valentine's Day, celebrated on 14th February. This downloadable handout is recommended for elementary school students and kindergartners and nursery school students at Beginner (pre-A1), Elementary (A1) and Pre-intermediate (A2) level. It was designed for enhancing your students' Listening and Speaking skills. 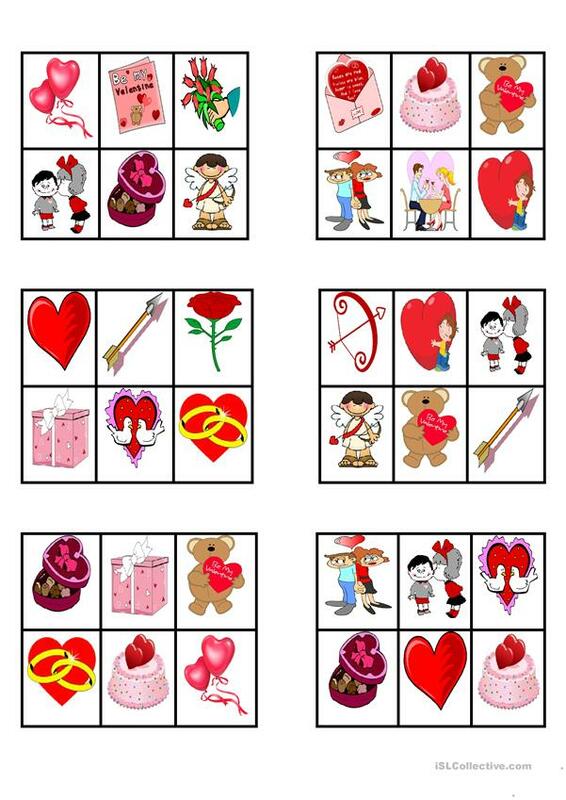 It is focused on the theme of Valentine's Day.